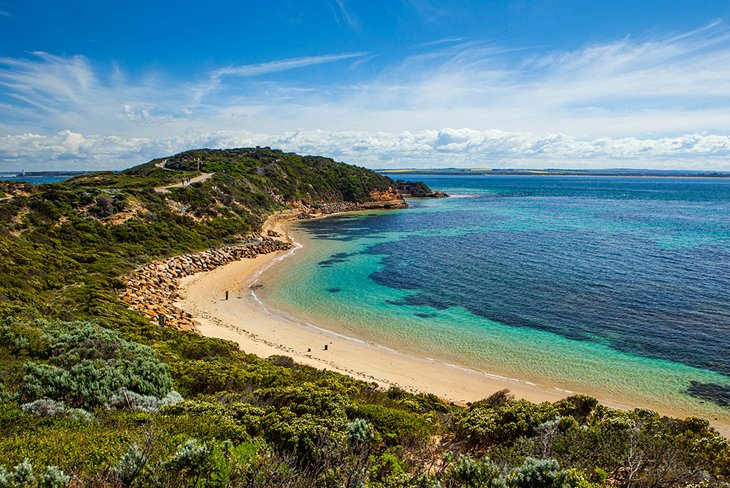 Phillip Island, which is located just off the coast of Victoria, is an island paradise breathtaking in every way, brimming with attractions that will leave you stunned. How an island of such beauty can still remain barely untouched from the outside world, where penguins run free on pristine beaches, where wetlands, oceans, National Parks and rugged coastline is home to numerous species of bird life, sea life and land dwelling animals will amaze you. Phillip Island is loaded with attractions that draws so many tourists here each year from all over the world to indulge, soak up the atmosphere, experience its natural beauty and numerous fun filled experiences. Taste test your way around the island with cellar doors, wineries and vineyards to visit, experience waterfront fine dining at its very best, book into luxury accommodation with uninterrupted views of the southern ocean or indulge the senses with one of the well being centres and day spas that are located on the island. Whether you are into wining and dining, hiking and adventures, nature and wildlife, there are many attractions that will spark an interest with on Phillip Island. Visit the nature parks, koala conservation centre and do the tree top walk, see the numerous animal parks or set out on one of the many hiking tracks around the island to get up close and personal with a variety of wildlife from bird’s, kangaroos, koalas, penguins and seals in the wild. Join a wildlife cruise where you can swim with the dolphins and seals for the day, watch the daily procession of the penguin parade, as they make their way up the beach each day at sunset for their nesting during the night. Walk through mazes, take the kids to one of the beaches where you can all swim, fish and laze on sun kissed beaches or perhaps a round of golf, mini golf or go karting appeals to you. Winding boardwalks through wetlands and along the rugged coastline takes you past stunning scenery, you can try your hand at fishing or take a trip to the chocolate factory. Visit museums, galleries and memorials dating back to the Vietnam War or perhaps a history and heritage tour around the island is something you might be after. Browse through shopping outlets and retail stores, enjoy the weekend markets and farmers stalls, base your holiday around the annual motorcycle Grand Prix each October or the V8 Supercars motor racing in November. There is sea kayaking, sand dunning and four wheel driving within the Little Sahara and plenty of family fun from waterslides, aqua bikes, paddle boats and dinghy’s to hire out. There are indoor attractions and outdoor activities, so that no matter what the weather might decide to do you will always find plenty to keep everyone entertained on Phillip Island. Experience blow holes and deep caves, farming homesteads and choose from many different styles of accommodation to suite all travellers. Plan the ideal trip away loaded with a variety of attractions for your next holiday to Phillip Island.